Raw veggies are a dinner staple around here. On nights I’m too busy (or, too lazy) to make a real side, we’ll just toss whatever veggies are in the fridge on the table for munching. Occasionally, we’ll buy a veggie dip to go with it – but when I realized how unhealthy our favorite one is, it started making the grocery list less and less often. 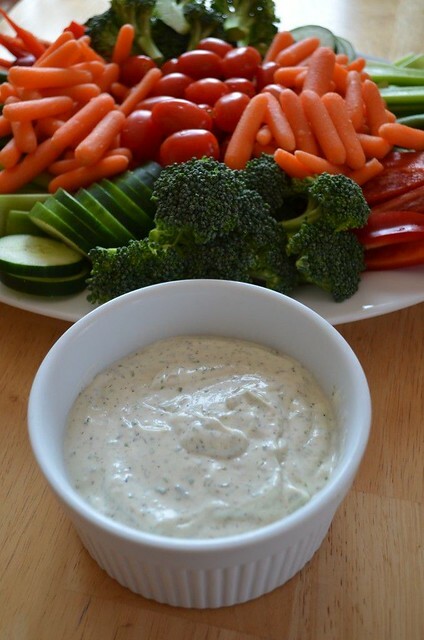 When we volunteered to bring a veggie tray for Easter, I knew I wanted to make my own dip to go with it. When I asked around, Branny offered up this version. It looked a lot healthier than our store-bought go-to, so it won out – and it was delightful. After making this, I can honestly say we won’t be buying it again! 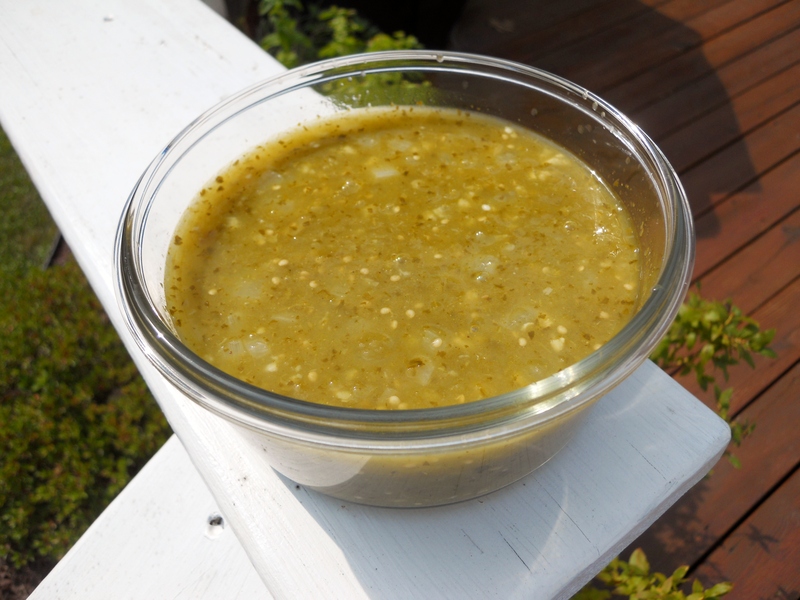 Combine all ingredients in a food processor and process until smooth. Taste and adjust seasonings as necessary. Store in an airtight container in the refrigerator. Most of my Make it Yourslef Monday projects come from a desire to replace a store-bought product. This one happened simply because I forgot to pick up taco seasoning at the store. It was a few years ago, back when I was a new cook and the realization competely flustered me. I started googling for a substitution – and found a ton of really easy ideas. Whew! I’ve tried a bunch of different versions since then, but I keep coming back to this one. 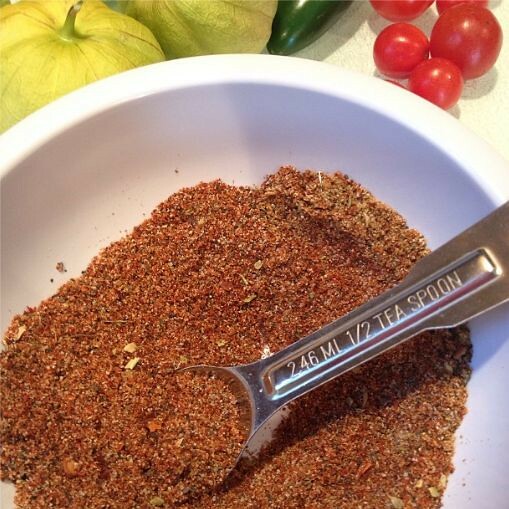 It’s got a great flavor and all of the spices included are ones I always have in the pantry. 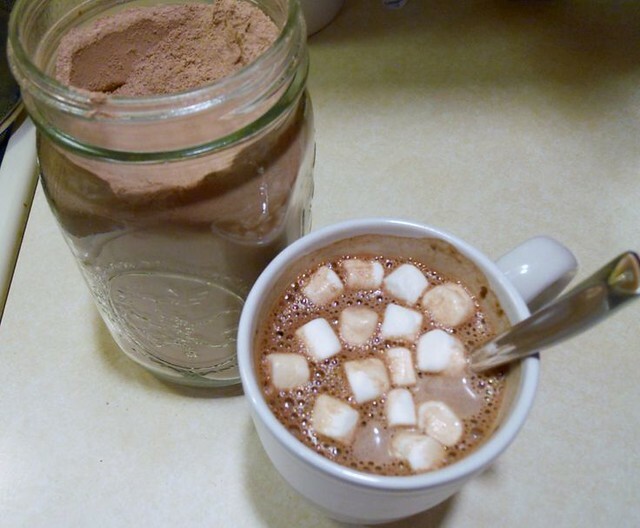 This recipe makes just enough to replace one store-bought package. Whisk together in a small bowl. Store in an airtight container. Hello, September. Hello, pumpkin season! I’ve seen so much excitement over pumpkin-flavored everything that I thought it was appropriate to kick off September with this recipe. 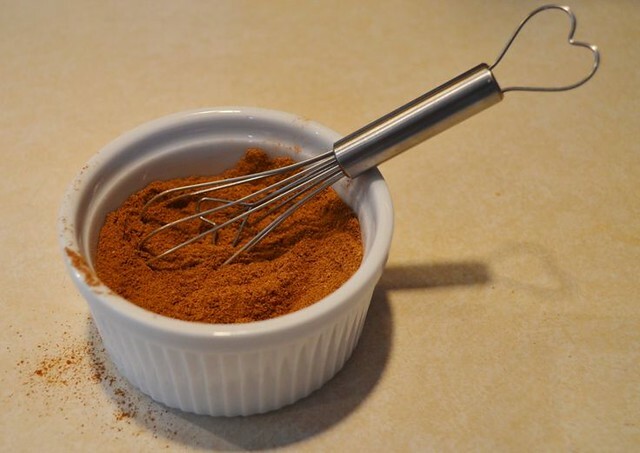 Pumpkin pie spice is essentially in lots of pumpkin recipes and it’s super easy to whip up at home. 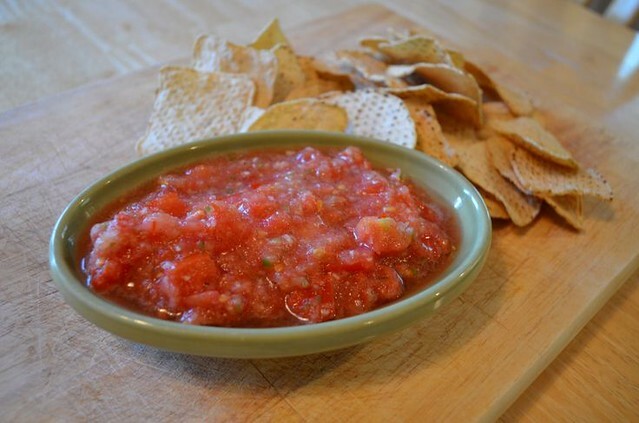 Chances are, you already have everything you need in your pantry! When I introduced the Make It Yourself Monday series back in the beginning of January, I envisioned it to be a regular feature of the blog. I wanted it to be the push for me to make more “basics” myself. Since then, I’ve put up a whopping two posts. What happened? Well, I’m just really not doing as well with the cooking-from-scratch things as I hoped. But, the beauty of a June birthday is that it’s like another reset button mid-year. I’ll be celebrating my birthday on Wednesday and this year there will be more cooking from scratch! Hummus is something I’ve wanted to make for a while. I’d planned on trying it a few years ago and then couldn’t find tahini. I just happened to turn around in the grocery store a few weeks ago and noticed tahini on the shelf! It went into the cart immediately and I made this as soon as I got home. The most tedious part of this recipe is peeling the chick peas, but it’s so worth it! 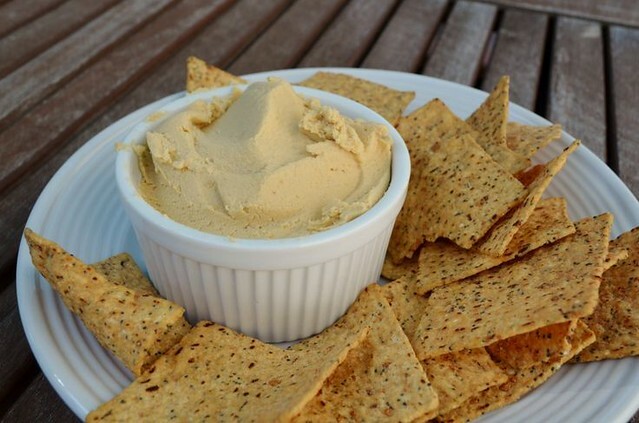 The end result is the smoothest hummus I’ve ever had. To peel the chick peas: drain them from the cans and rinse thoroughly. If you squeeze the chick peas lightly, they should pop out of their skins. Add the peeled chick peas to a food processor and pulse until well chopped. Add the remaining ingredients and pulse until very smooth. For the last few years, one of my New Year’s resolutions has been to make more from scratch. While we’re not perfect, we’ve made huge improvements. It’s incredibly gratifying to make things yourself – and I’m often surprised at just how easy and doable it is. I’m starting a new series today, Make It Yourself Mondays, to highlight kitchen projects you can tackle yourself. 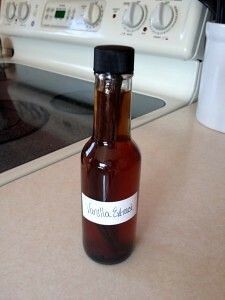 The first one I’m sharing is for something I use all the time – vanilla extract. Even when I started cooking more from scratch, vanilla extract is not something I thought I’d ever consider making myself. And then I learned how easy it was. There’s no cooking, and minimal prep and measuring – all you really need is some patience. I purchased these vanilla beans from Amazon, because they were the best price I found (vanilla beans are expensive!). I got my bottles from Specialty Bottle (also the best price I found). Not only is this a great pantry staple, but it makes a really cute gift. If you want to dress up your bottles, lots of bloggers offer free, printable labels (like here, here, here and here). Split vanilla beans lengthwise (no need to scrape!) and place into jar. Pour vodka over the beans and cover. Place in a cool, dark place for approximately two months, shaking occasionally, before using. I’m a self-taught cook. One of my biggest self-imposed obstacles is that I assume everything is going to be hard to make. 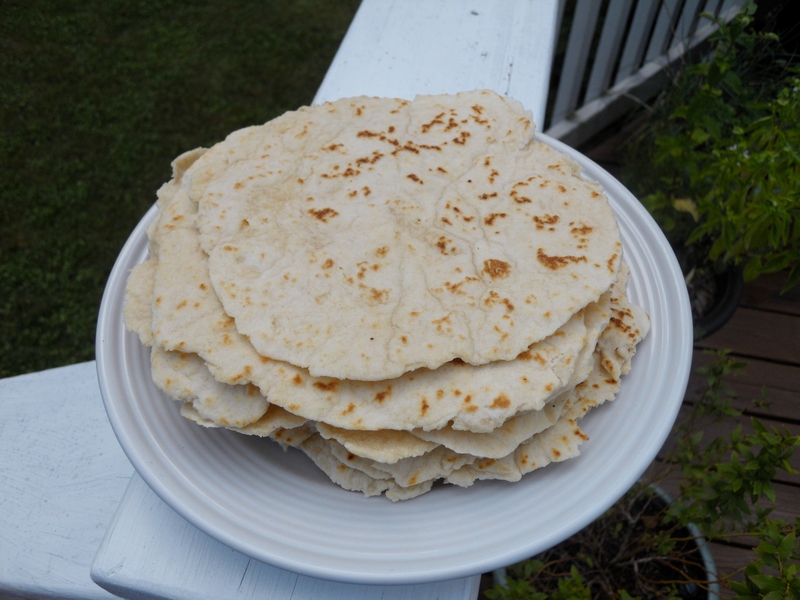 I’ve had this tortilla recipe bookmarked for nearly a year but making my own tortillas seemed like such a project. I finally had time last weekend to do some kitchen projects and decided to make these. Imagine my surprise when I was done in a half hour! These weren’t hard at all and they were so much better than store-bought. Have you tackled any recipes that intimidate you recently? In a food processor, pulse together the flour, baking powder and salt. Add the shortening and pulse until incorporated and the mixture is crumbly. With the food processor running, slowly add the water until a ball of dough forms. Continue to process for another 30 seconds to knead the dough. On a floured surface, divide the dough into 12 equal pieces. Cover with a towel to avoid drying out. Taking one piece at a time, roll into a 8″ circle. 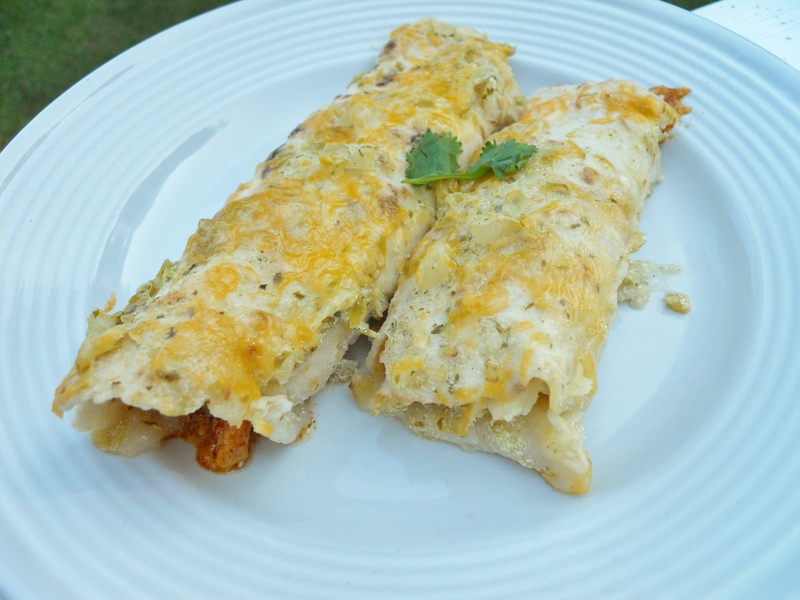 In a heated pan, add one tortilla at a time, cooking for 10-20 seconds, flipping and cooking for another 10-20 seconds. Remove to a plate and keep covered with a towel to keep warm.